BB cream is a relatively new development in the beauty and skincare industry, but a sensation nonetheless. Learn how to get the most out of this handy all-rounder product and transform your daily skin care routine. The ‘BB’ in BB cream generally stands for Blemish Balm or Beauty Balm. 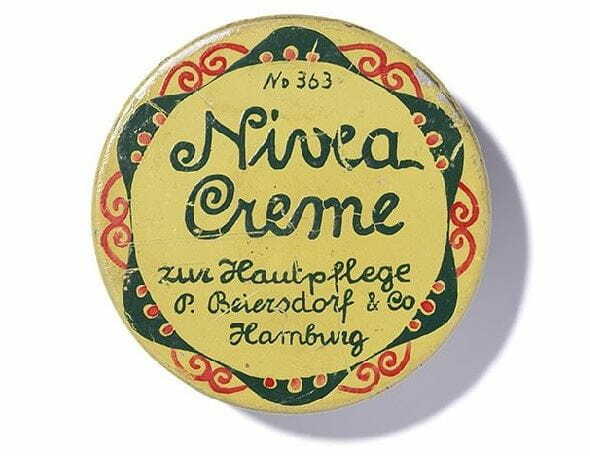 BB creams were originally developed in Germany around the 1950s and 1960s by a dermatologist. Its first use was to treat patients, following laser surgery or intensive face peels. The cream was designed to protect and heal inflamed, splotchy, or reddened skin. The widespread popularity of this efficient, multi-purpose beauty cream spread quickly to South Korea and throughout Asia. Today BB creams are in almost every cosmetic store or pharmacy across the globe. BB creams combine the properties of moisturisers, primers, serums, foundations, breakout treatments and sunscreens. Depending on your skin type and personal coverage preferences, you can wear a BB cream on its own, over a moisturiser for extra hydration, or under regular foundation as a moisturising primer. An ideal BB cream can be the only product you need after cleansing your face. Look for one that has skin-refining pigments to even out your skin tone. It’s perfect for a natural, radiant complexion that keeps your face moisturised, with added UVA/UVB filters to protect your face from harmful sun radiation. WHAT ARE THE BENEFITS OF USING A BB CREAM? If the number of products you are using every morning before you leave home is overwhelming you, an all-in-one BB cream could be your saviour. BB creams combine a number of time-consuming steps from your daily skin care and beauty routine. If you are someone who prefers to leave your skin natural and avoid make-up, but you still want to moisturise and protect your skin while covering blemishes, BB creams are an excellent choice. The best BB creams give you effective protection from the sun. If a BB cream is going to live up to your daily skin protection needs, look for a BB cream with SPF and UVA and UVB filters to reduce the risk sunburn and premature ageing. BB creams usually contain moisturising and hydrating ingredients to help your skin stay supple and soft throughout the day without drying out. Due to their moisturising properties, BB creams work well when applied underneath your regular foundation for a full coverage look. One of the best benefits of using BB creams is how they reduce redness, inflammation and blemishes like mild acne and sunspots. Applying BB cream can help to even out your skin tone and give you a radiant complexion. Although BB creams can’t replace every single product in your skin care routine, they can definitely help to improve the benefits of the products you use it with. This product is essentially a moisturising day cream with a bit of colour. The colour will usually be very sheer and the moisturiser is typically lightweight. Tinted moisturitsers are suitable for people who are looking for light coverage to mask small imperfections. NIVEA’s Daily Essentials Tinted Moisturising Day Cream provides a hint of colour and contains light reflecting pigments to enhance your natural skin tone for a radiant complexion. CC commonly stands for “colour correcting”. CC creams are designed to mask skin redness or sallowness, while BB creams are closer to a light foundation with a few added skincare benefits. As a colour-corrector, CC cream generally feels lighter on the skin than a BB cream. Some CC creams, like NIVEA Q10 Plus CC Cream SPF 15, are also designed to reduce the signs of aging, with anti-aging ingredients Q10 and Creatine to reduce fine lines and wrinkles. There is only a fine distinction between CC and BB creams. As we know from above, BB creams provide you with a decent coverage and added skin care benefits. They're lighter in weight than foundations but are generally heavier than tinted moisturisers and CC creams. NIVEA BB Cream Daily Moisturiser contains skin refining tinted pigments that adapt to your skin’s natural tone, while the UVA/UVB filter system protects skin from harmful UV rays. Due to the huge range of colour choices, foundations are great for finding a product that matches your skin tone as closely as possible. If you love your foundation but perhaps feel like you need to apply too much product to get the coverage you desire, experiment with using a hydrating BB cream as a primer and apply a smaller amount of your foundation over the top. Choosing the right skin coverage product can be slightly overwhelming when you consider the huge number of options available. The best way to find the right product is to read the labels, look at the ingredients and try a few out.